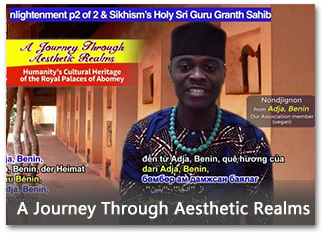 presents entertainment programs with lively performances from around the world. This long-running television program had been regularly broadcast in the United States to 90 million viewers. Borobudur Temple Compounds in Indonesia is the largest Buddhist temple in the world, and a UNESCO World Heritage site. 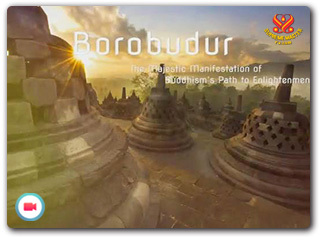 Borobudur's structure reflects the path of the Bodhisattva from samsara to Nirvana, from the cycle of death and rebirth to transcendence and enlightenment-the ultimate goal of Buddhism. Leonardo da Vinci was one of the greatest creative minds of the Italian Renaissance, hugely influential as an artist and sculptor. 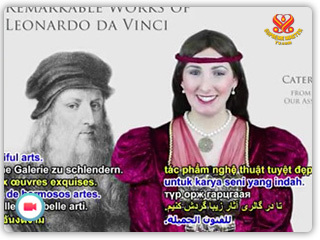 Art enthusiasts worldwide consider the iconic "Mona Lisa" to be among the greatest paintings of all time. He was also immensely talented as an engineer, scientist and inventor.